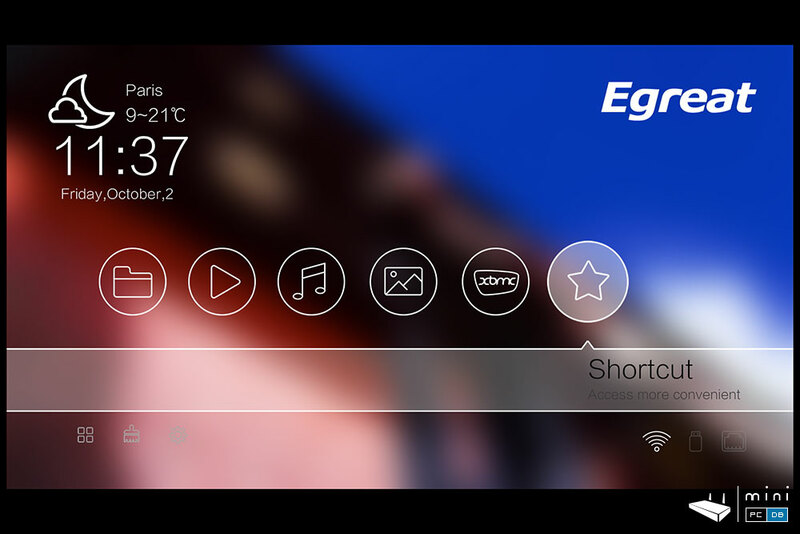 I got the chance to play with the new Egreat R6S-II Mini PC for a few days and here's a short review for the device. 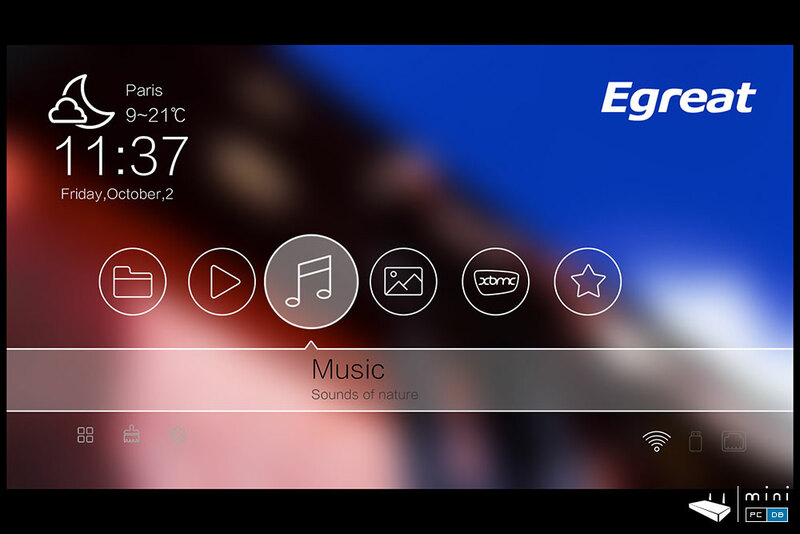 Egreat was one of the biggest Chinese manufacturers of media players.Since everybody wants more from their TV boxes now, media players become obsolete and manufacturers had to adjust to this new reality. 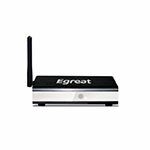 Egreat launched several Mini PC's this year (most of them we covered in previous articles), but are still looking for that "big hit". Could R6S-II be the one? Let's check it out. 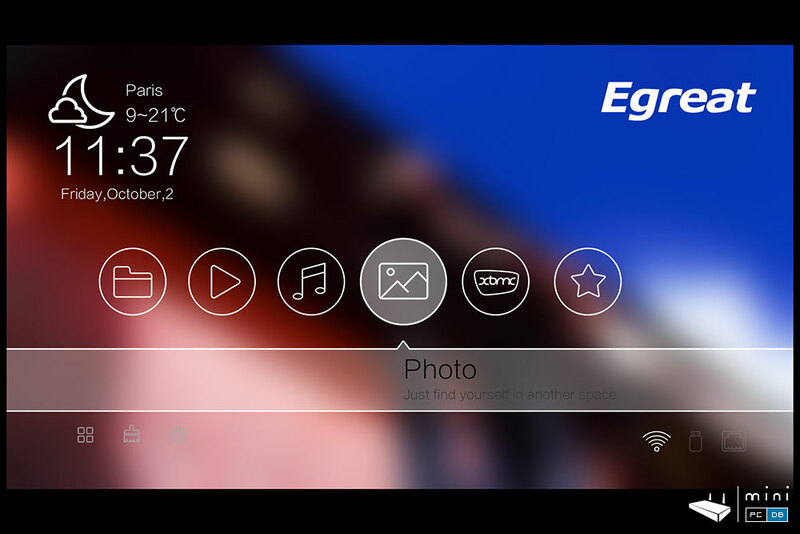 Egreat R6S-II can be purchased from GeekBuying . We already know that R6S-II uses the same chassis as the old Realtek-based media player... or is it? 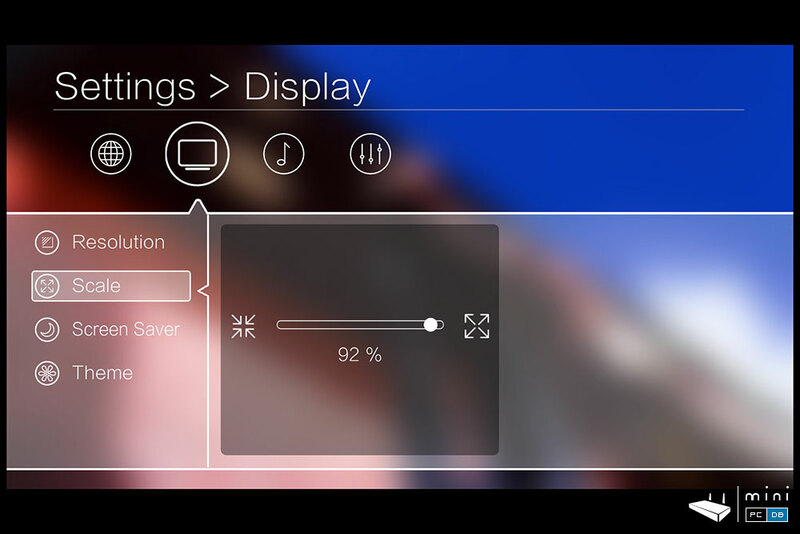 When I first turned it on I noticed that the new R6S-II does not have the front screen the old media player had (not a big loss, as it wasn't all that useful anyway). And it seems a bit smaller, too. The user interface is simple and good-looking: there are 6 main sections (File explorer, Video, Music, Photo, XBMC and Shortcut). Each of them have funny-sounding descriptions like "Just find yourself in another space" or "Access more convenient". 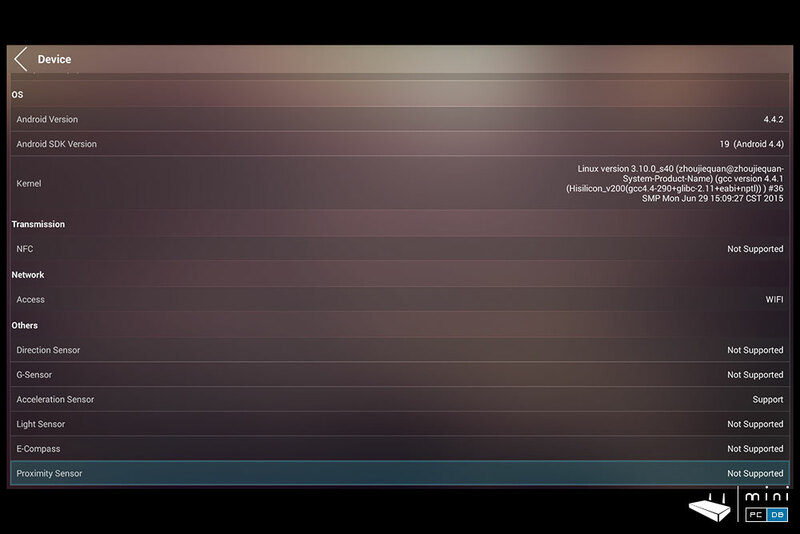 R6S-II's internal memory and attached devices can all be accessed from the local network, as they are automatically shared (look for "Android_XYZ" on your network computers list). 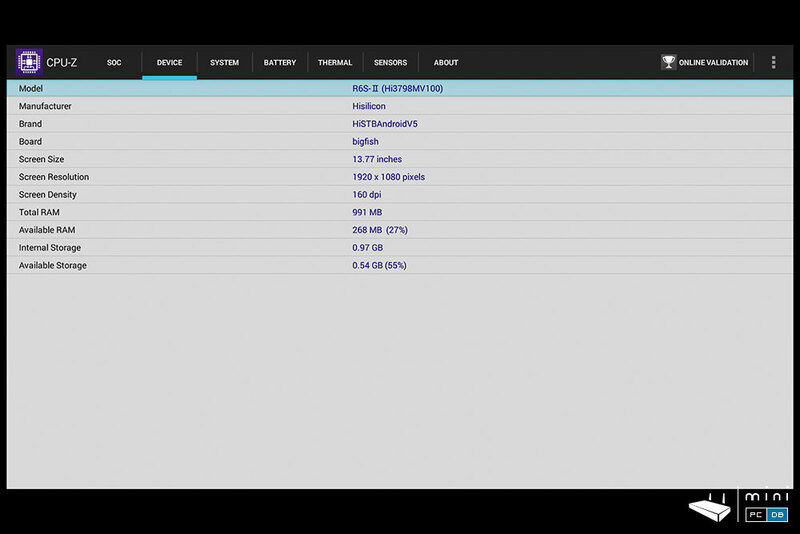 The device also appears on your Homegroup as "Living Room 1_XYZ" (HiMediaServer and HiMediaRender). R6S-II comes with an old-fashioned IR remote. 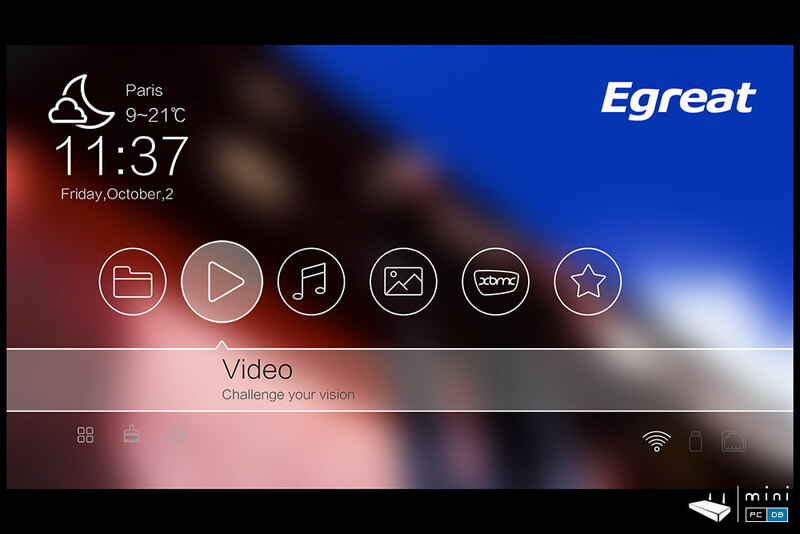 To sweeten the deal Egreat included 4 programmable keys that can be used to control the TV as well (they are marked with On/Off, AV/TV, and Volume Up/Down, but you can use them for whatever you want). The remote fits well in the hand, has all the regular buttons that should help you navigate around the menu, it even has a "mouse mode" - basically a way to move around the cursor on the screen using the arrow keys. But it takes an enormous amount of patience to use an IR remote with an Android mini PC - you might be better off with an airmouse with full keyboard, something like this one. While I don't trust benchmarks too much, as they can be manipulated and some manufacturers go to great lengths to do so, I tried to install the usual benchmarking apps on R6S-II. Much to my surprise I couldn't install AnTuTu from Google play - not even the AnTuTu Video Tester (incompatible with the device). AnTuTu Video Tester makes a reviewer's job much easier as it performs all sorts of video tests which we can later compare to other devices, so I installed the app from elsewhere. But without much luck: the app starts, it was able to download the test files after a few failed attempts but the test always stops at exactly 73% for some reason. 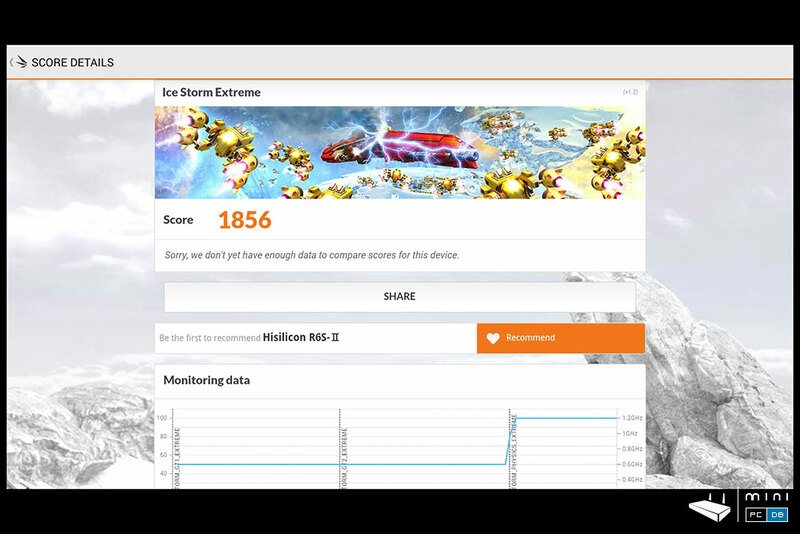 Similar devices (using the same HiSilicon Hi3798M V100 SoC) get around 15000 points in AnTuTu 5 and over 700 in AnTuTu Video Tester - which is a good score. CPU-Z identifies the CPU as Hi3798MV100 (which is correct) and the manufacturer as HiSilicon and brand "HiSTBAndroidV5", with "bigfish" as board name. Vellamo results were rather unimpressive: 564 points for Metal, 777 points for browser and 1145 for Multicore. Also unimpressive were the Ice Storm Extreme results: just 1856 points. 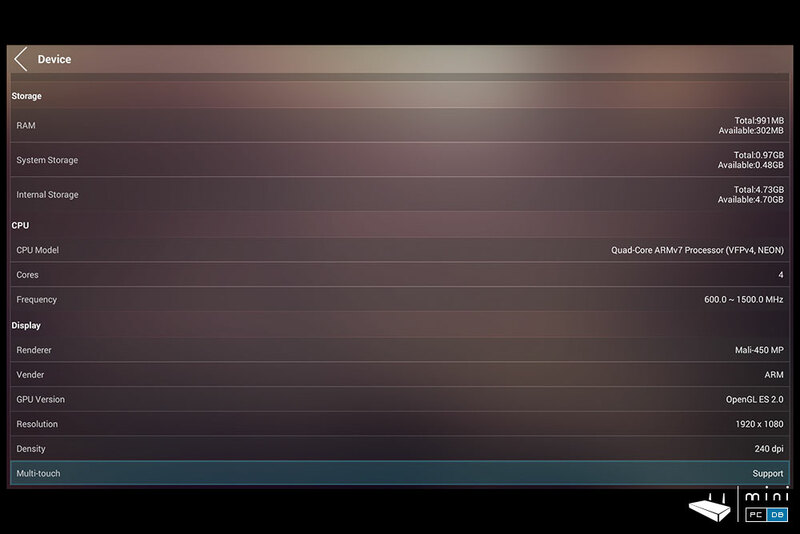 Not surprisingly, Kodi has it's own main menu link - it is now standard procedure for Chinese manufacturers to add embed Kodi in their products (although some of them "forget" to give back to the community).R6S-II comes with Kodi 14.0. By now my expectations were low due to the not-so-great benchmarks results, but I'm happy to say that the little device performed surprisingly well. 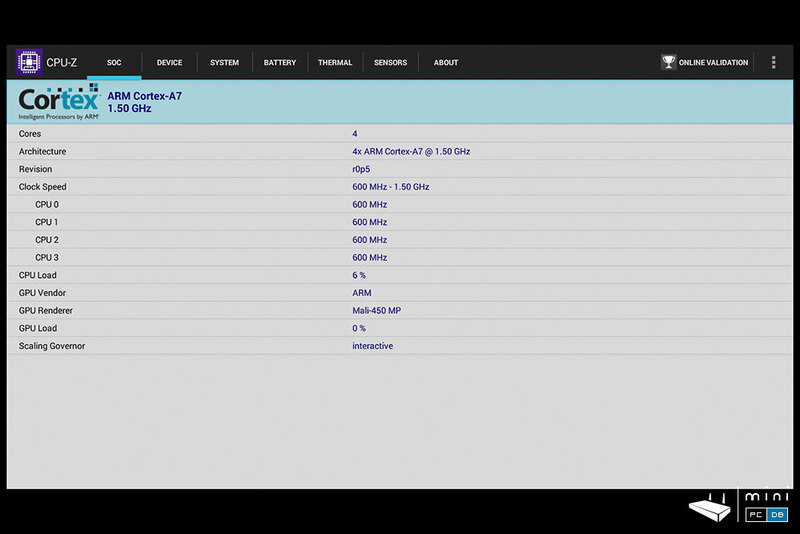 In fact, R6S-II mini PC was able to play all files I tested. 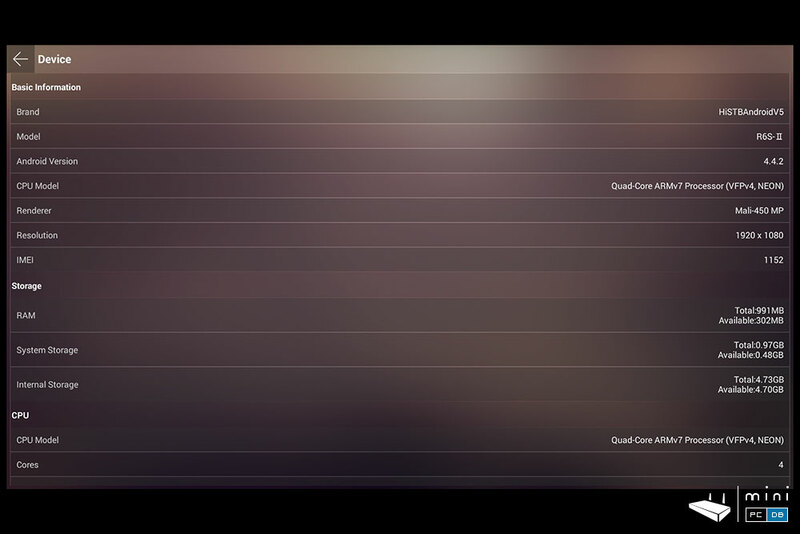 I've started the tests with the files downloaded by AnTuTu Video Tester, and all the files I opened just worked (haven't tested all of them though, my patience was worned out from attempting to run the AnTuTu Video Tester app). After these encouraging results I went ahead and tested various files and formats, and the device was able to play them all. Tests included normal files (like AVI and Mp4 TV series episodes), but also BluRay 3D (Sintel-Bluray.iso) and 1080p 3D movies, H.264 and even H.265/HEVC. 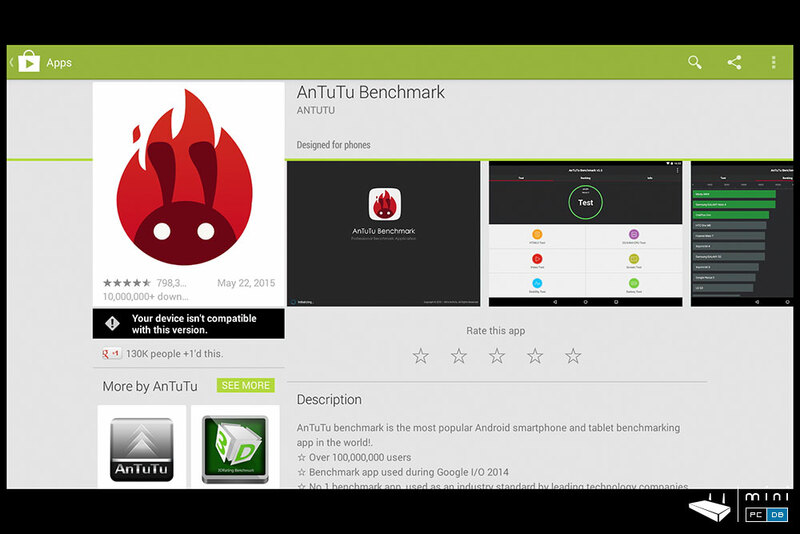 - many apps from Google play are reported as "incompatible with your device" - including very trivial apps like AnTuTu. 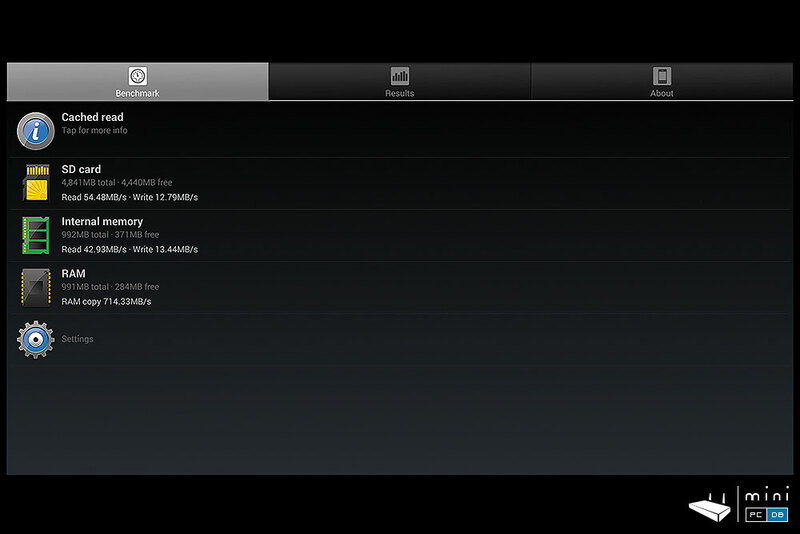 Most likely the app issues could be solved with an firmware upgrade. I noticed that some early buyers flashed firmware from a Himedia device that is using the same HiSilicon Hi3798M SoC, which seems to be working just fine on R6S-II. However, flashing that firmware will make the IR remote unusable, and since the R6S-II does not have a physical on/off button you'll have to connect/disconnect the power adapter ... unless some DIY firmware developer can take that FW and adapt it for the Egreat IR codes. At the time of this review there were no firmware updates on Egreat's official site nor custom ROM's available for this mini PC, which makes sense, since Egreat R6S-II was just launched and the HiSilicon Hi3798M SoC was launched last year, so most inherent bugs were probably solved since then. But if that's still the case a few months from now, you should probably wait for a HiSilicon Hi3798C V200 Mini PC instead. Yes, it will be more expensive, but the performance will also be much better.